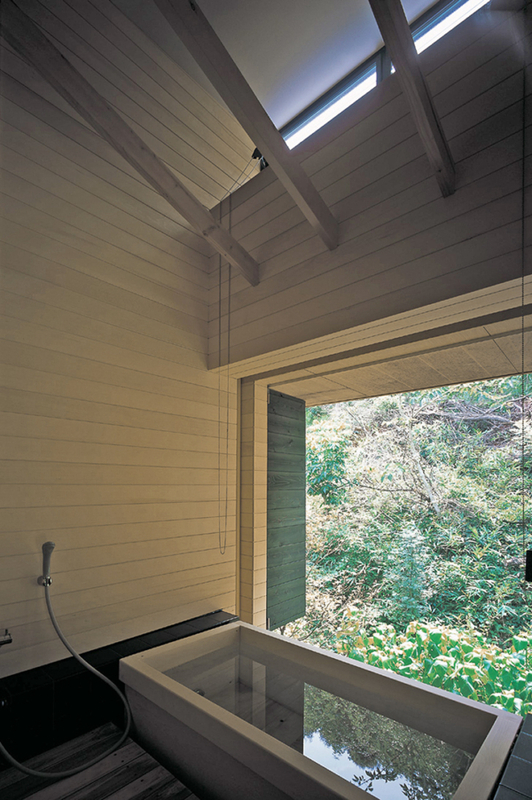 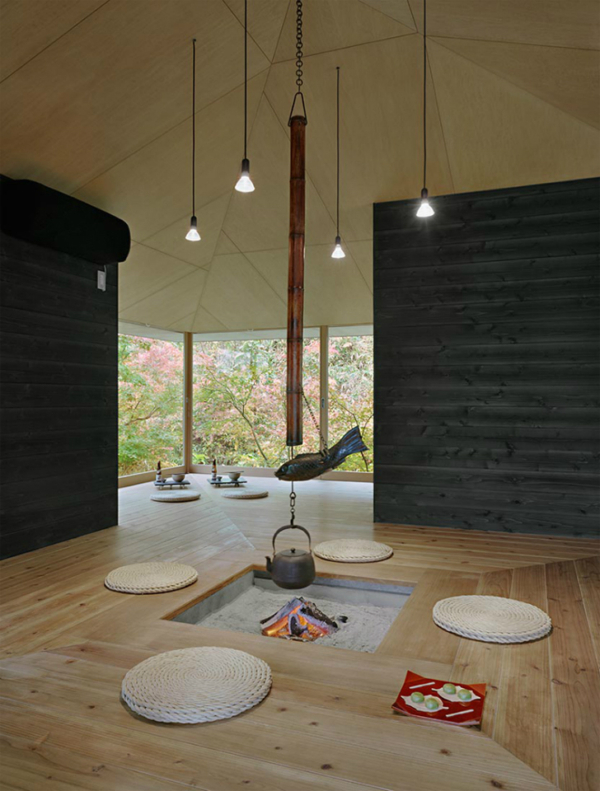 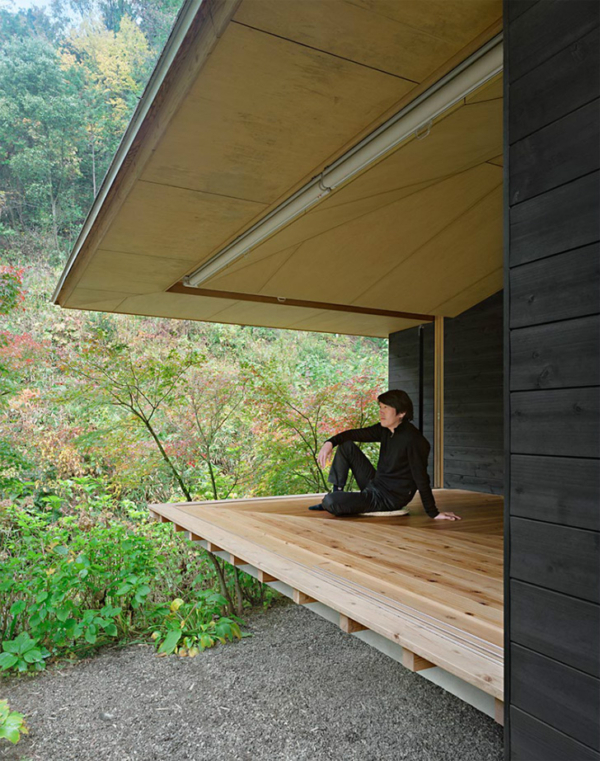 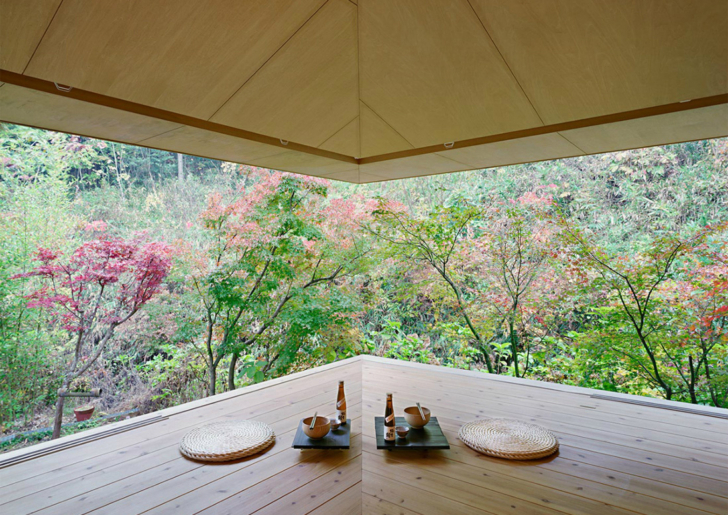 Located in Gifu city and surrounded by lush pine and trees, the RSH 3 is a 56 sqm wooden structure single-story residence with a completely open spatial pattern. 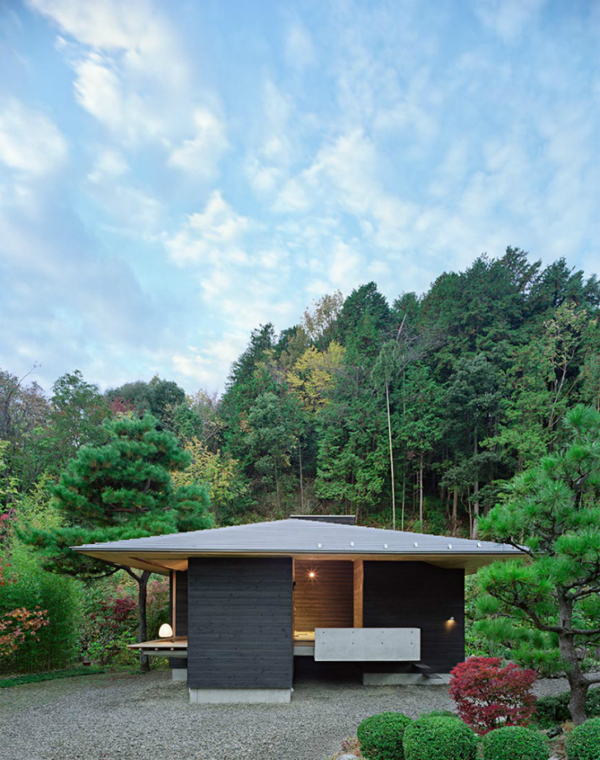 The building is clad with all cedar plate from facade to floors and walls, galvanized steel sheet roof forming a very unique Japanese-style home. 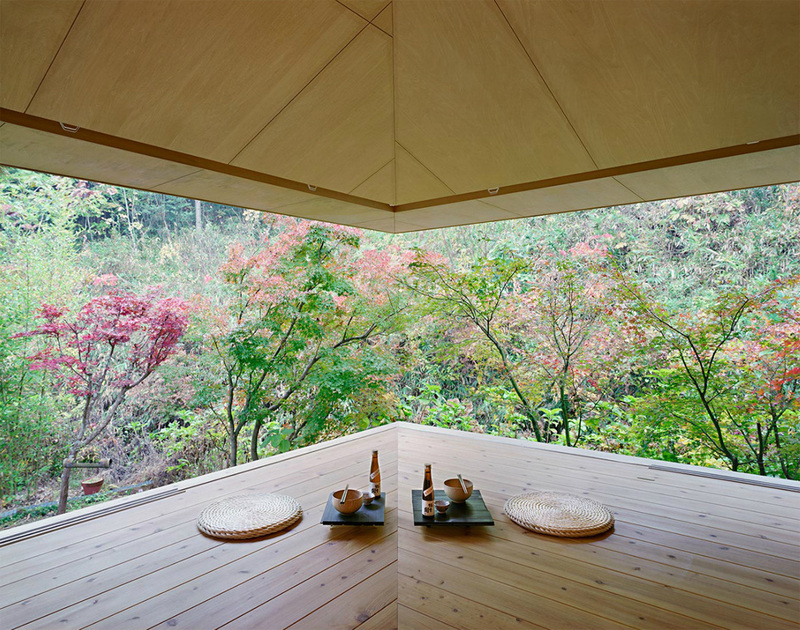 The intentional misalignment of floor and ceiling boards at the corners creates an interesting, disorienting mirrored effect.